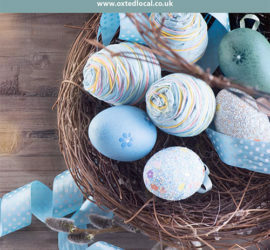 Oxted Local (formerly oxted and limpsfield magazine) is the local community magazine for Oxted, Limpsfield and surrounding areas. If you own or work in a business where the towns and villages in RH8 forms part of your target market, then you should be advertising with the Oxted Local. The original village of Oxted (now Old Oxted) is a small village centred around a short high street with four pubs (The Old Bell, The George Inn, The Crown Inn and The Wheatsheaf) just off the A25. If you are organizing a local event that you would like to see published online and in the Oxted Local Community Magazine, submit here. List your business for Free on our local directory serving the residents of Oxted and Surrounding areas.